Movie Review: "The Bourne Legacy" | Movies | Style Weekly - Richmond, VA local news, arts, and events. Movie Review: "The Bourne Legacy"
The legacy of the latest in this series of thrillers is satisfying summer paranoia and rooftop chases. 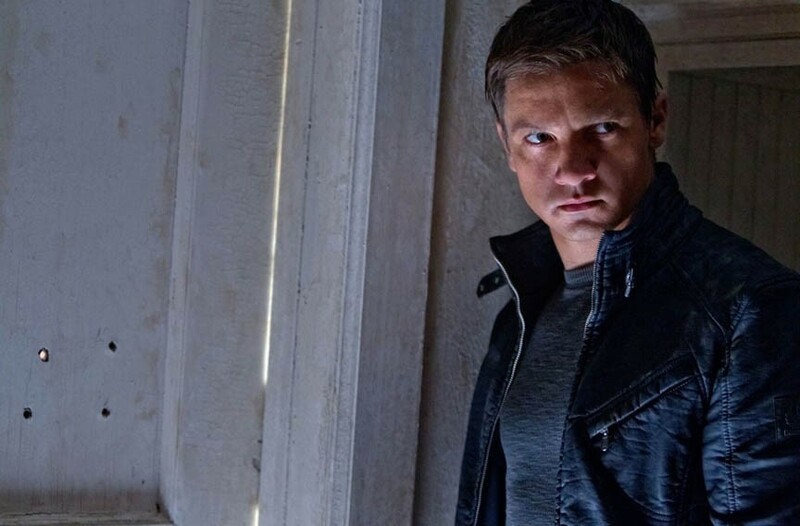 Jeremy Renner plays Aaron Cross, a super spy pursued by sinister forces. "The Bourne Legacy" is being labeled a reboot and a sequel of the Matt Damon "Bourne" series, but it's really neither of those things — at least not as audiences have come to expect them. It's more of a lateral movement, an alternate perspective of established events. In the last episode Damon's secret agent Jason Bourne finally outwitted the large and devious portion of the U.S. intelligence community allied against him. In this episode we see him do it all over again, but from the perspective of another agent in Bourne's program, or at least one similar to it: Aaron Cross (Jeremy Renner). Cross' story doesn't take place before or after the events of the previous film, but simultaneously. The new guy figures out at the beginning of the film that because of Bourne's actions, he too has been marked for shutdown. As Cross inevitably ends up on the run, he catches glimpses of Jason Bourne doing the same in other parts of the world, keeping abreast of Bourne's actions via newscasts and secret documents. The result plays as if, like Cross, we'd never seen the previous film. It's an interesting approach, and one that suggests "Bourne" films will continue to dash across summer movie screens, with or without their namesake. Though he lacks the pure star power of Damon, Renner is both believable and sympathetic as a pursued, genetically modified man freak, able to fend off multiple attackers in less time and with more grace than most people put on a T-shirt. We first meet Cross training in Alaska, battling weather, crevasses and wolves, begging the question of whether scenic vistas enhance performance. During this lengthy introduction, Tony Gilroy, writing his fourth installment with brother Dan and directing his first, cuts between Cross in the Alaskan wilderness and Edward Norton in the wilderness of Washington intelligence, where the predators include Scott Glenn, Stacy Keach and David Strathairn. The series has always upped the ante on dangerously powerful intelligence officials. Norton plays one so high-ranking his true nature can only be discerned, and then only dimly, through post-movie perusal of the Internet Movie Database and Wikipedia. It's possible Norton's character is so high-level even the filmmakers don't have access to his résumé. This complex extended introduction is thoroughly difficult to sit through, like trying to follow a Wimbledon match while listening to NPR updates on terrorist strikes. It's a lot of plot and action to process, defensible perhaps because we are being introduced to a wholly new character. Or, more accurately, a new character is being introduced to a fast-paced fictional world audiences have grown to appreciate. Eventually Cross comes into contact with Dr. Marta Shearing (Rachel Weisz), a research scientist at the laboratory that manufactures men like him, and the movie settles into the familiar rhythms of the series. Basically it becomes an extended chase sequence, with a few pauses to catch its breath. If you liked the previous films for their inventive, realistic and nonstop action, "Legacy" will satisfy, at least for most of its run time with its hackneyed and ludicrous coda most prominently excluded. Still, why bother seeing essentially the same movie over again? Part of the appeal, beyond the potent action scenes, is the series' leitmotif of a corrupt world turned against itself, a theme that has helped make the franchise an update of the Bond-style spy film, taking many of its conventions and inverting them.. Like 007, Bourne and Cross are government-manufactured spies, but they're enemies of that government, the witty sophistication and adventure exuded by "Bond" films replaced with an encompassing and overwhelming post-globalization paranoia. "Legacy" dwells on suspicion, mostly that our actions and movements are being photographed and tracked while our collective will is denied, all by powerful and secret forces bent on protecting something called democracy — even at the cost of democratic processes. "Legacy" demonstrates that paranoia keeps the "Bourne" movies churning as much as fisticuffs and chases. In the end audiences aren't rooting for a hero as much as a heroic outsider, persecuted, like they are, by the system. This "Bourne" is the same spy running across almost the same rooftops as before, but it's his motivation that keeps us interested. Unlike Bond, he isn't just what we aspire to be, but also at odds with what we aspire not to be. S (PG-13) 135 min.